At the end of August, TIMBY travelled to Maputo, Mozambique to conduct the first co-creation session of an upcoming initiative with the World Wide Fund for Nature. 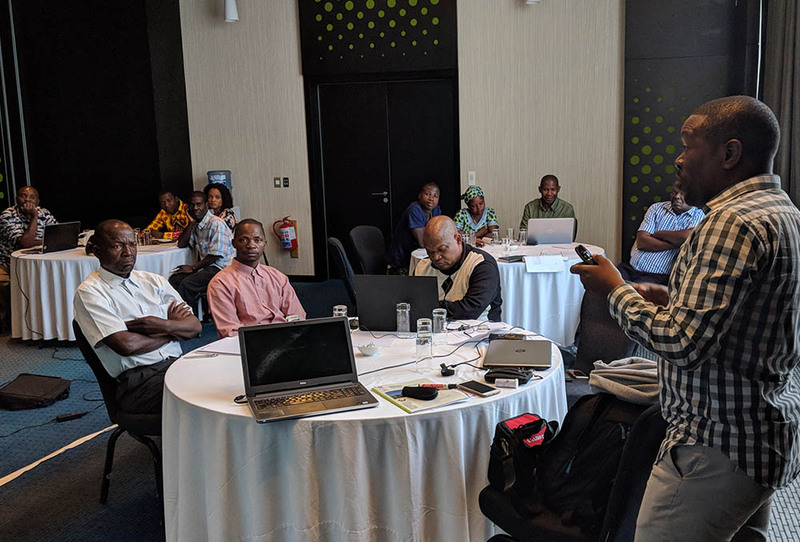 Twenty-two representatives from CSOs across Mozambique came together for the two-day workshop, part of the initial phase of a WWF-led project that will create a shared reporting platform to document threats to forest and freshwater resources. This workshop is part of a larger initiative being launched by TIMBY and WWF to create a new model of collaborative environmental monitoring. As part of an upcoming multi-organization pilot supported by the World Wide Fund for Nature, TIMBY is being used to bring together CSOs across Mozambique to enhance documentation and dissemination of information about threats to forest and freshwater resources in the country. More than twenty organizations will be equipped with the TIMBY tools and will use TIMBY to document issues in their communities. Once the information has been verified, they will be able to share their reports where they can be accessed by partners and by journalists. Using TIMBY, the World Wide Fund for Nature will bring together the insights generated by local level at a national scale, helping to ensure Mozambique’s natural resources are managed responsibly and according to law. In addition to the basic framework, TIMBY’s new mapping functionality made its debut in the field, providing important user feedback. The workshop also provided TIMBY with an opportunity to learn from the needs of CSOs across Mozambique and identified improvements to TIMBY that we are integrating to make it better work even better. We’re looking forward to the initiative’s formal launch later this year. So stay tuned! TIMBY staff are back in the office hard at work, building new features to make TIMBY work better for all groups. If you have any suggestions, you can reach us at [email protected] We’re always looking for new ways to make TIMBY work better for you.